The Rev. Johann Georg Herwig, son of teacher Conrad H. Herwig and Elisabeth (surname unknown), was born in Aue near Eschwege (Germany) on July 11, 1714. He married in Willershausen, Hessen (Germany) on February 12, 1742 to Sophie Elisabeth Stippus. She was born in Willershausen (Germany) on October 29, 1710. Herwig began his theological studies on September 25, 1736 at Philipps-Universität Marburg​ which was founded in 1527. 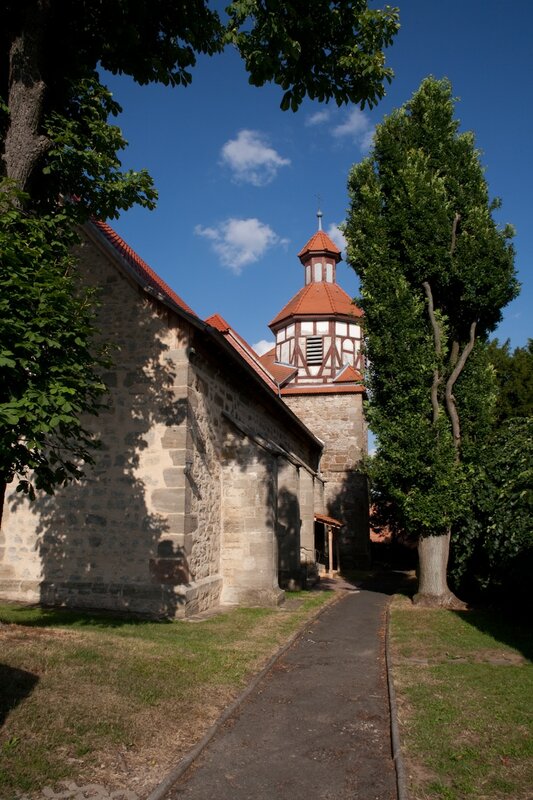 From 1741 to 1756, he served as pastor in Willershausen near Herleshausen. Herwig resigned his position in Willershausen in order to avoid being involuntarily discharged. It is not known what he did before traveling to Russia as one of the original colonists. Pastor Herwig arrived in Oranienbaum, Russia on September 12, 1766 with a large group of colonists of the private recruiter Beauregard. They arrived from Lübeck aboard an English frigate commanded by Skipper Adam Beerfeier. Pastor Herwig traveled to the lower Volga River settlement area as part of the Oberleutnant Ditmar transport group and likely ministered to the colonists during the long journey. ​​Upon arrival in the colonies, Herwig became the pastor of the Reformed congregation in Katharinenstadt in 1768 where he served until 1769. In 1769, he became pastor of the Norka Reformed parish where he served until his death on April 29, 1782. Having lived in Hessen prior to migrating to Russia, Herwig would have been well suited to understanding the language and customs of the people who settled in Norka, the majority of which came from the same area. The Marienkirche (St. Mary's Church) in Willershausen where Rev. Herwig served prior to immigrating to Russia. Source: Wikimedia Commons. Amburger, Erik. Die Pastoren Der Evangelischen Kirchen Russlands Vom Ende Des 16. Jahrhunderts Bis 1937: Ein Biographisches Lexikon. Lüneburg: Inst. Nordostdt. Kulturwerk, 1998. 348. Print. Lind, Carsten. 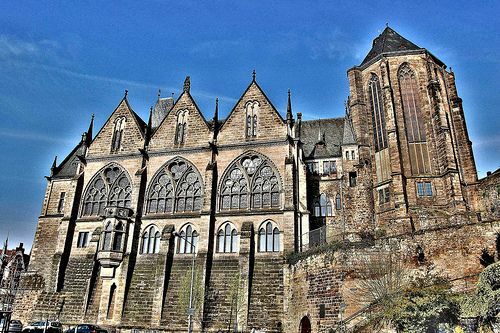 Archiv der Philipps-Universität Marburg im Hessischen Staatsarchiv Marburg, Friedrichsplatz 15, 35037, Marburg, Germany. Email to Steven Schreiber dated August 8, 2017. Pleve, I. R., and Richard R. Rye. The German Colonies on the Volga: The Second Half of the Eighteenth Century. Lincoln, Nebraska: American Historical Society of Germans from Russia, 2001. p. 319. Print. Pleve, I. R. Lists of Colonists to Russia in 1766: Reports by Ivan Kulberg. Saratov State Technical University, 2010. p. 289. Print. Rauschenbach, Georg, and Andreas Idt. Deutsche Kolonisten Auf Dem Weg Von St. Petersburg Nach Saratov: Transportlisten Von 1766-1767. 2017. p. 211. Print. Schnurr, Joseph. Die Kirchen Und Das Religiöse Leben Der Rußlanddeutschen. Stuttgart: AER-Verl., 1978. p. 143. Print. Last updated September 2, 2018.